Everyone’s fridge door and cupboard has the condiment classics; ketchup, a greasy jar of mayonnaise, marmalade, and perhaps a neglected bottle of Worcestershire Sauce. But there is a new breed of condiments that shouldn’t be relegated to the cupboard clutter. These are the sauces, spreads and sprinkles that add attitude, oomph and zing. The meal makers. 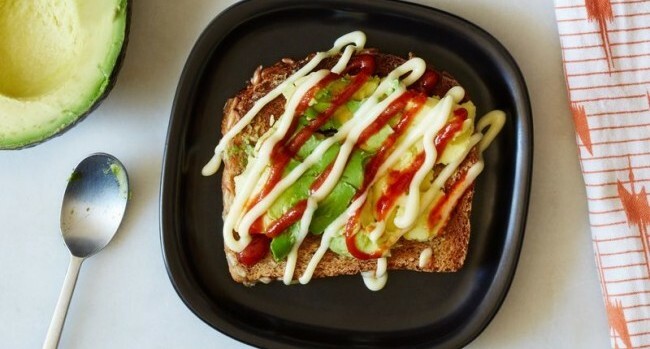 From banana ketchup to chicken salt, look beyond of the humdrum of Heinz and Hellman’s and let us introduce you to the condiments you didn’t know existed, but won’t be able to live without. Nam plaa what? Fish sauce caramel, nam plaa waan in Thai, is a mixture of the South East Asian pantry staple fish sauce, palm sugar, shrimp paste, chilies and dried shrimp. This fragrant sauce has consistency similar to maple syrup, and is sweet too, but balanced with heat, umami, and just a light taste of fish sauce, which gives it a salty punch. 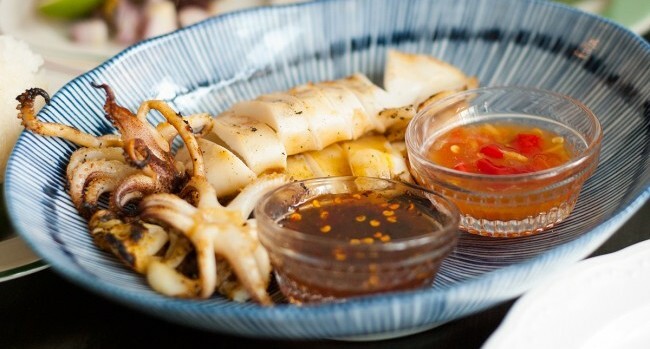 It can be drizzled over almost anything; think whole grilled fish or pork belly, or achieve that authentic Thai sour-salty-sweet-spicy flavour by using it as a dip for tart fruit, Granny Smith apples work well. Banana Ketchup, or banana sauce, was invented in the Philippines during WWII when there was a shortage of tomato ketchup due to lack of tomatoes. 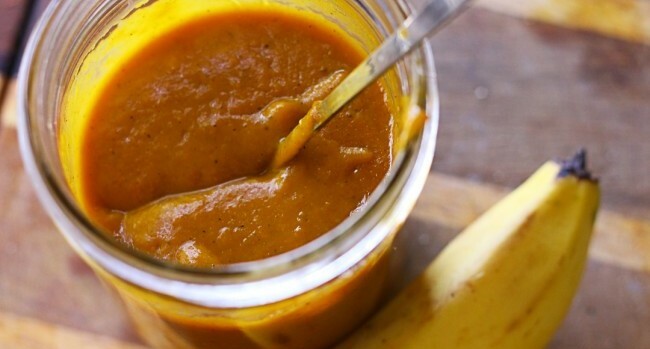 Made from mashed bananas, sugar, vinegar, and spices, banana sauce is much sweeter, and less tangy than your regular bottle of ketchup. Though often food coloring is added to give it a convincing ketchup-y hue. A perfect contrast to salty foods, in the Philippines they use it like ketchup; on their eggs, burgers, or any fried foods, like chicken wings. 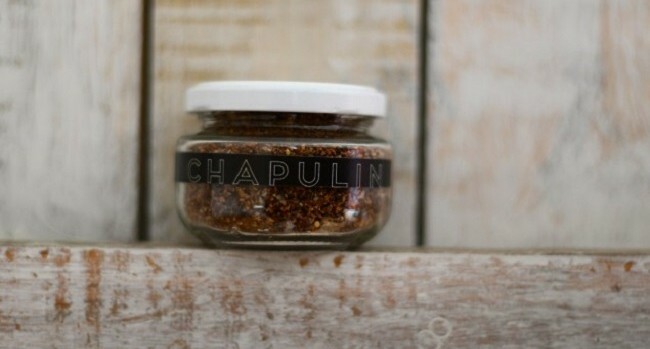 Grasshopper salt, or sal de chapulin, is a blend of sea salt, toasted and ground grasshoppers with lime, and chilli. Grasshoppers and other insects are the trendy, sustainable way to get your protein; though they have long been staple in Mexico, where stink bugs, mescal worms and fly eggs are also popular. Grasshoppers have a taste compared to a savory raisin, so think of grasshopper salt as way to ease yourself into this high protein delicacy. Their flavour compliments most Mexican dishes; try sprinkled on tacos, quesadillas, mixed into guacamole, as a finishing salt for steak, or add a chapulin salted rim to your favourite tequila based cocktail. Known as Kaya in Southeast Asia where this spread originates, coconut jam is made by slow-cooking a mixture of coconut milk, cane sugar, and sometimes egg yolks, until it’s the consistency of dulce de leche. Brand Coconut Merchant even make a version of this thick spread using coconut sugar, making it a more nutritious jam replacement that’s 100% pure coconut. Go nuts and pick up a pot of Hey Boo Coconut Jam, available in M&S. Follow the Malay way and spread on toasted bread with a pat of butter, serve with a soft boiled egg, and season with soy sauce and white pepper, or try in a cheese toastie. If these salty sweet combos don’t take your fancy try adding to porridge, yoghurt, or use in baking. 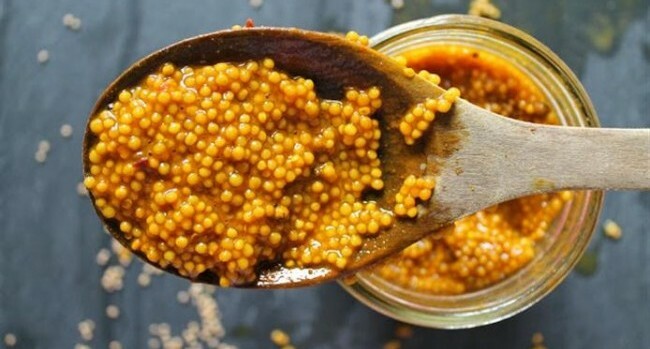 Far from being a luxury delicacy that can set you back thousands, mustard caviar is simply pickled mustard seeds. Though what gives the condiment it’s title; ‘a poor man’s caviar’, is the way the seeds pop in your mouth in a similar way to caviar. Mustard caviar has the familiar spicy flavour of mustard but is more tart and sweet. Made from just mustard seeds, vinegar, sugar and salt, this one is easy to make at home, find a recipe here. 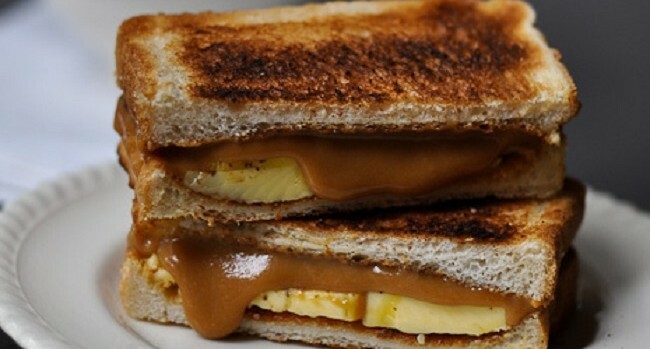 Replace your usual mustard to take sandwiches and burgers to the next level. Also, mustard caviar would make a fantastic addition to a charcuterie platter, or a vinaigrette. Kewpie, pronounced Q.P, is a smoother, creamier, richly satisfying mayonnaise that has been made in Japan since 1925. It’s distinguished from supermarket brands, as it’s made with mild, aromatic rice vinegar rather than distilled vinegar, and with only yolks, rather than a mix of yolks and whole eggs. Even superstar chef David Chang has said it’s “the best mayonnaise in the world”. The versatility of this sweet, spicy, sticky condiment, with floral notes from honey and chilli peppers, means hot honey has been hailed as “the new sriracha”. Order the original Mike’s Hot Honey online, or have a go at making it yourself by bringing 2 chillies and 1 cup of honey to a bare simmer, then reduce heat and cook for 1 hour to infuse. Taste, adding another chilli if you dare, then transfer to jars and leave to cool. Mike’s Hot Honey is described as “the world’s most versatile condiment”, and they may just have ground for that bold claim. 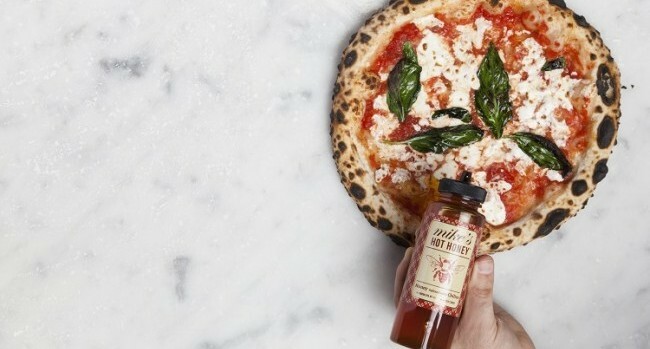 Drizzle hot honey on roast vegetables and pizza, add to meat marinades, or pair with fruits, cheeses and even ice cream. 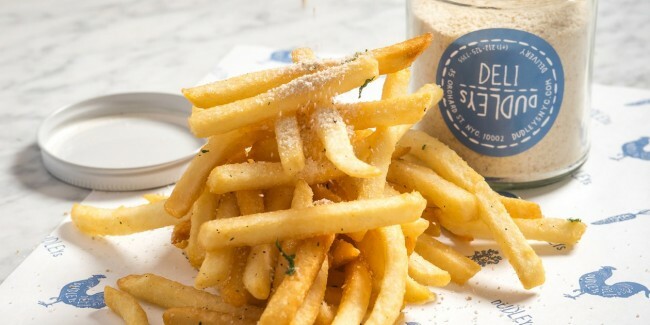 While the concept of chicken salt might seem alien to us, in Australia it’s a must for ‘chippy chips’. Even more puzzling is the fact that the most common ‘chicken salt’ is in fact a completely vegan seasoning made from a blend of table salt, herbs, and spices. Chefs are now taking the term literally, creating gourmet versions made from dried and powdered roast chicken skins, mixed with salt and pepper, and other seasonings. Follow this recipe and never throw away chicken skins again. There is little that wouldn’t benefit from a sprinkle of chicken-y, salty goodness. Try on chips, popcorn, roast vegetables, and, obviously, chicken. 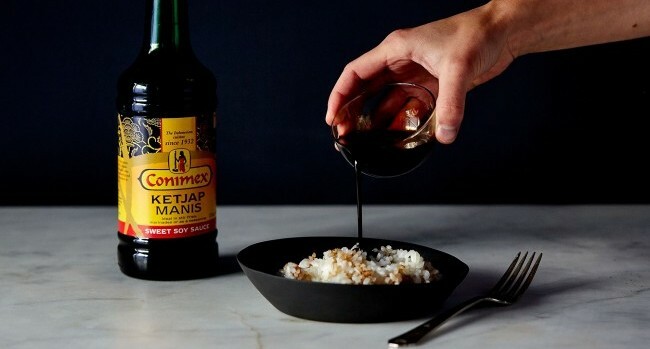 Pronounced KEH-Chup MAH-nees, kecap manis is an Indonesian sweet soy sauce made with fermented soybeans, palm sugar, star anise, garlic, and other aromatics. It is one of five main varieties of kecap, which means ‘sauce’, used in Indonesian cooking. Compared Japanese or Chinese soy sauce, kecap manis has thicker, syrupy consistency, and has a sweeter, slightly smoky flavour. Nigella Lawson describes it as “treacle-ish soy sauce”. Kecap manis is used as both a cooking ingredient and a table top condiment. Add it to marinades, stir-fries, sauces, glazes, or anywhere else you’d normally use maple syrup, honey, or brown sugar to counter the saltiness of regular soy sauce. Forget strawberry, rhubarb and raspberry, your new favourite jam is a whole different animal, quite literally. Slow cooked carmelised onions and bacon melt together into a smoky, sweet, porky, and spicy spread. Find Ed Hicks Bacon Jam, made by Dún Laoghaire butcher J.Hicks & Son’s, in Sheridan’s Cheesemongers, and other independent food stores. 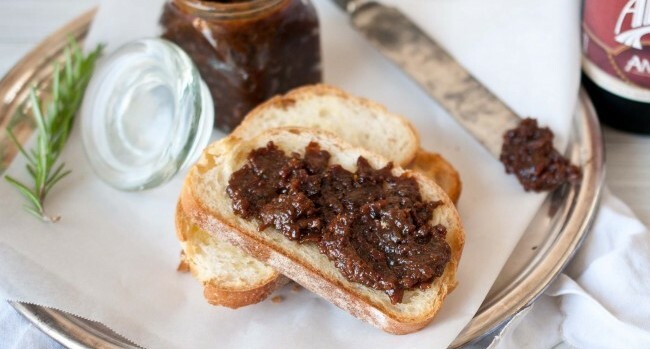 Bacon jam can add a welcome smoky-sweet bite to just about any food; slather on toast, burgers, or crackers and cheese, use as a pasta sauce, or add to soup or scrambled eggs. A fantastic addition to your brunch arsenal.